Before iTunes, music fans were forced to purchase an entire album in order to listen to their one favorite single. Music companies loved this model because they profited from the entire album, even if it only contained one good song. The idea began with Napster, but it was iTunes that really capitalized on the power of a single song. 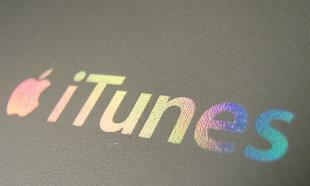 Flipping the music industry on its head, iTunes allowed users to purchase favorite songs and avoid the cost of an entire album. This approach forever changed the music industry and 10 years later, iTunes now controls 38.23% of the overall music market. Choose from our entire library of more than 20,000 courses – no packaged deals full of undesired courses. Buyers only pay for what they actually use, avoiding unused inventory and reducing your elearning spending. Courses can be taken on your time for up to a year after purchase. As the pay-per-use model becomes more prevalent, what other industries do you think will be impacted?